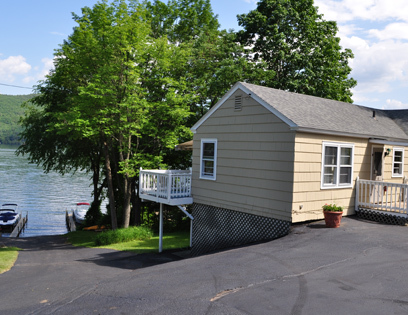 Family Friendly, Newly Renovated Rooms, Great Activities and Lake George Location! Enjoy our sandy beach and swimming in the crystal-clear waters of Lake George. 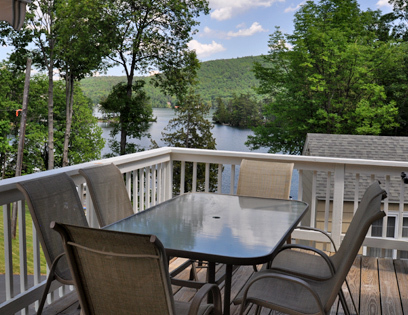 You can relax in the sun on our lawn or boat house deck with beautiful views of the lake and mountains. At the Tea Island Resort, YOU are just 1 mile from all the attractions, dining, entertainment and fun. The Lake George Trolley will pick you up and drop you off in town, so you never have to drive. Enjoy FREE use of our Kayaks, Canoes, Paddle Boards, Row Boats, and Paddle Boats! Dock space for your boat is also available to rent. Our hot tub area is a great place to relax and enjoy the spectacular views of the lake, and the playground and outdoor games will keep the kids occupied for hours. We offer a wide variety of complimentary activities that are available for family fun. Call 518-668-2776 for more info on guaranteed best lake view rooms and best rates at our Family Resort in Lake George NY! Early Summer 4th night free! (Not valid during Americade, black out dates apply). 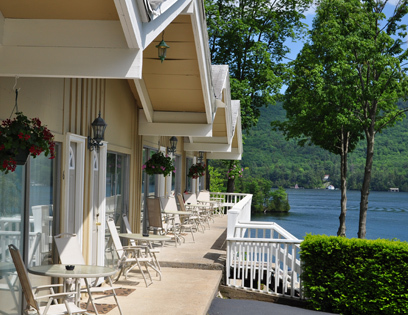 Tea Island Resort Offers a Variety of Lakefront Lodging Options!